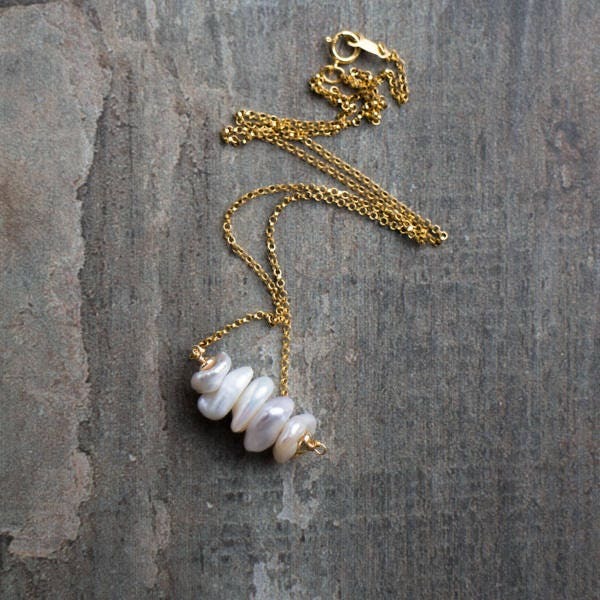 This lovely Keshi Pearl necklace is available both as a pendant or a bar necklace! 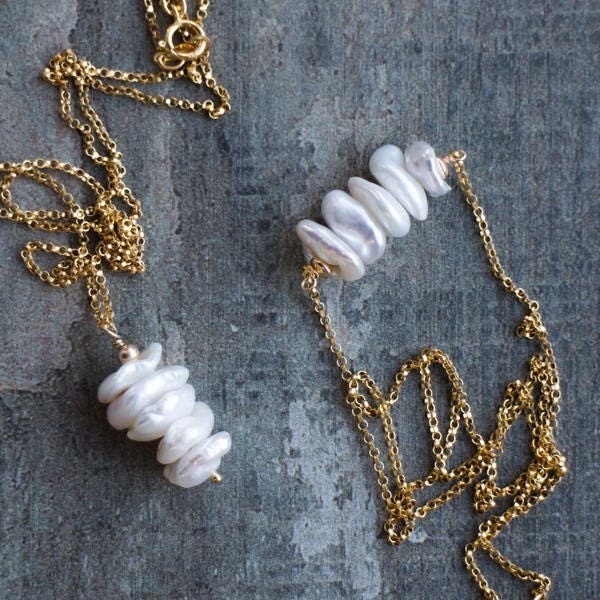 Beautiful freshwater pearls in organic shapes with gorgeous luster, stacked up suspending vertically or set to the centre of the chain horizontally as a bar necklace. 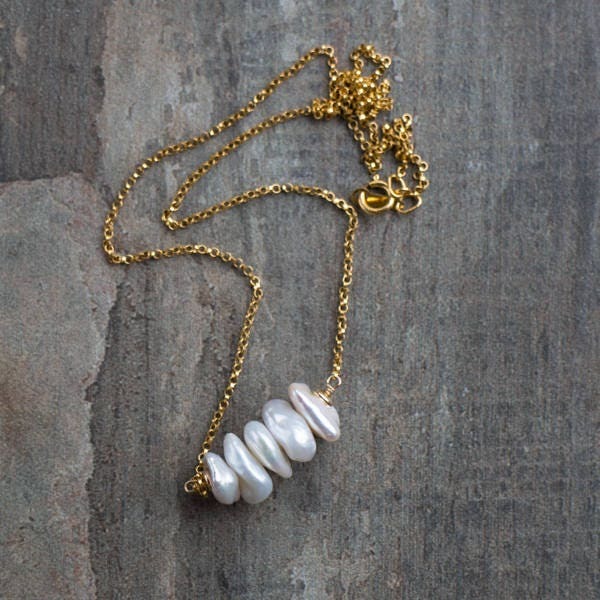 Shown in 14K Gold Filled also available in Sterling Silver. 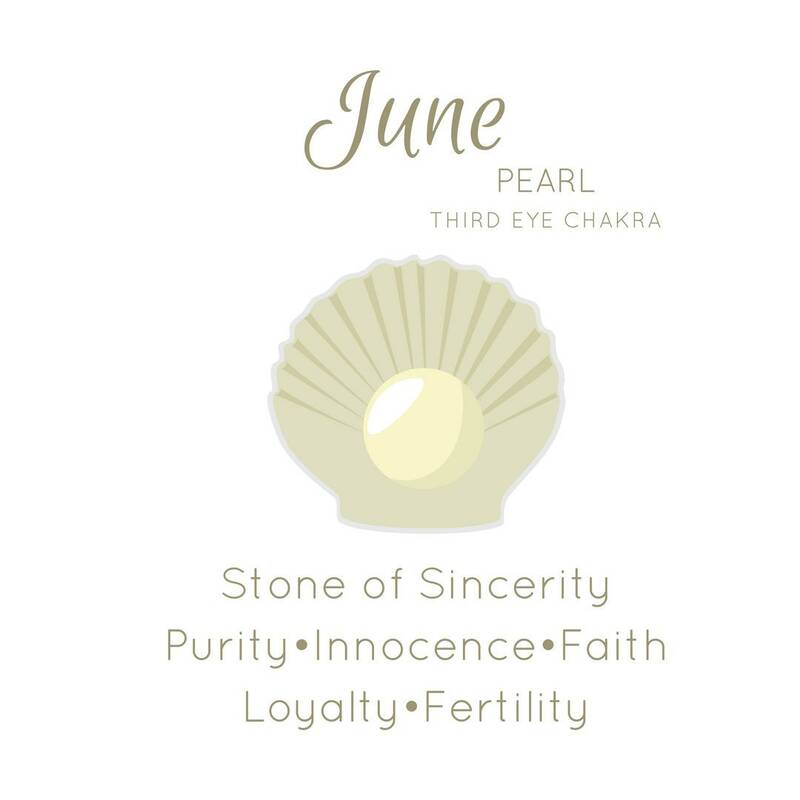 •A beautiful unique gift for a June Birthday! 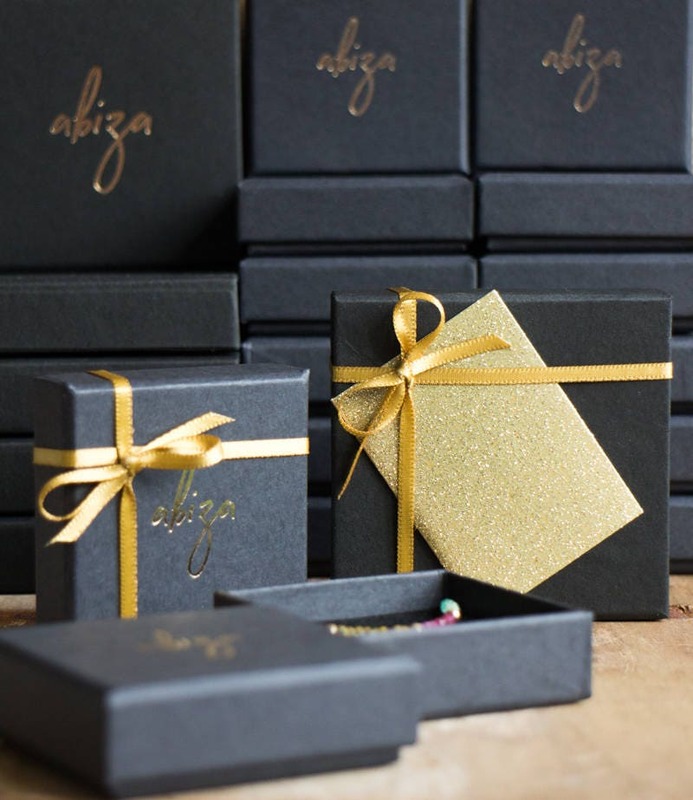 Comes with a crystal information car in a beautiful Abiza gift box. 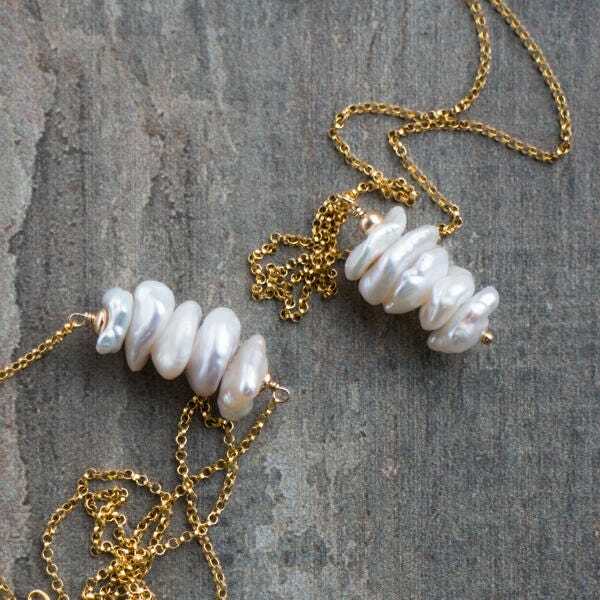 •Freeform organic Keshi pearls vary in size between 8 to 12mm. Please see the 4th and 5th images for the scale. 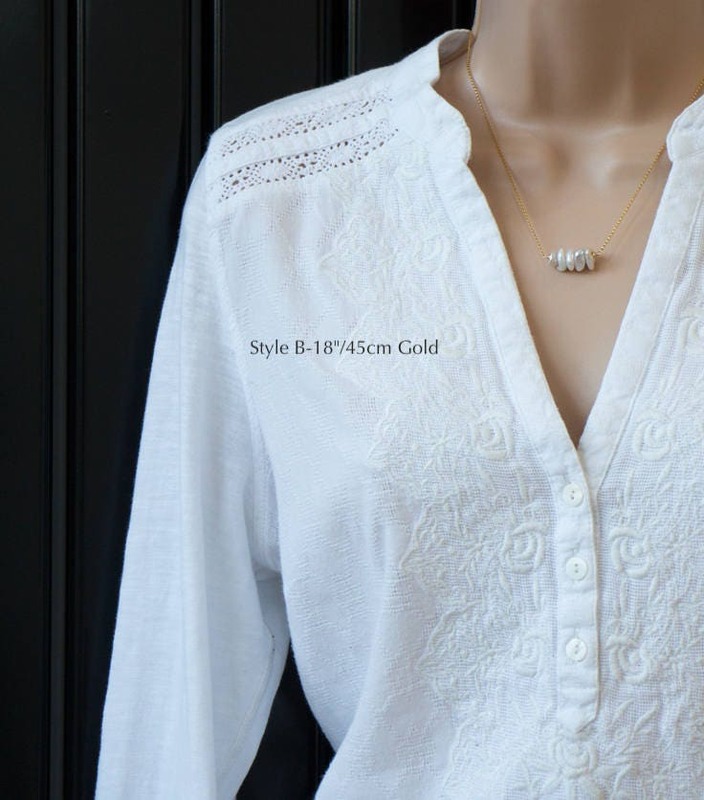 •Available in Sterling Silver cable or 14K Gold filled rolo chain with spring clasp closure. 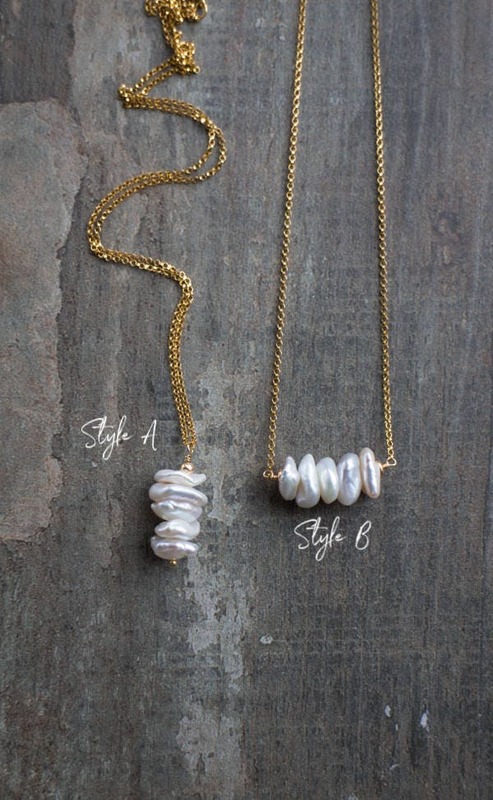 •Please choose your style and necklace length from the menu. 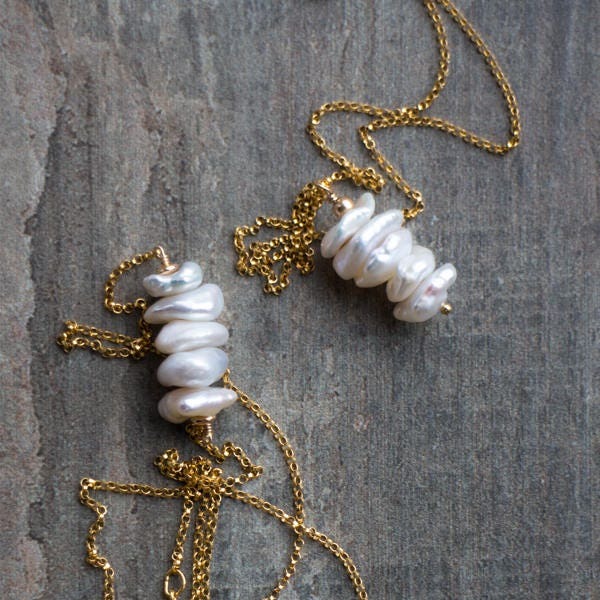 Beautifully made necklace. Pictures are accurate, well packaged, and super fast shipping - Came next day. Would recommend!